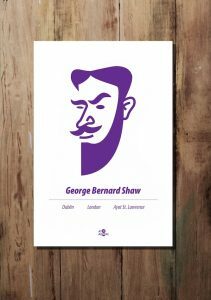 This graphic print of Irish writer George Bernard Shaw by At it Again! features a stylised image of the author of Pygmalion, the play that the musical My Fair Lady is based on, and places of importance in his life. A perfect literary gift for Shavians, socialists and lovers of books and Irish culture for birthdays and other special occasions. Or a great way to show your love for the places you call home. Made in Ireland. 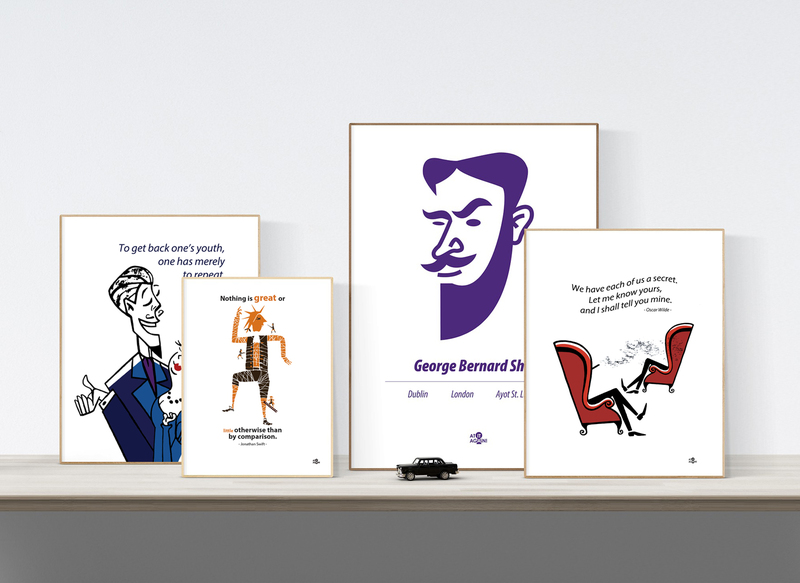 This graphic George Bernard Shaw print by At it Again! features an iconic image of the author of Pygmalion, the play that the musical My Fair Lady is based on, and places of importance in his life. 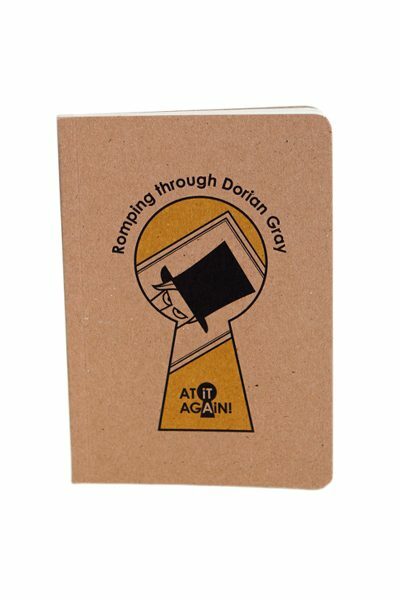 A perfect literary gift for Shavians, socialists and lovers of books and Irish culture for birthdays and other special occasions. Or a great way to show your love for the places you call home. Made in Ireland. 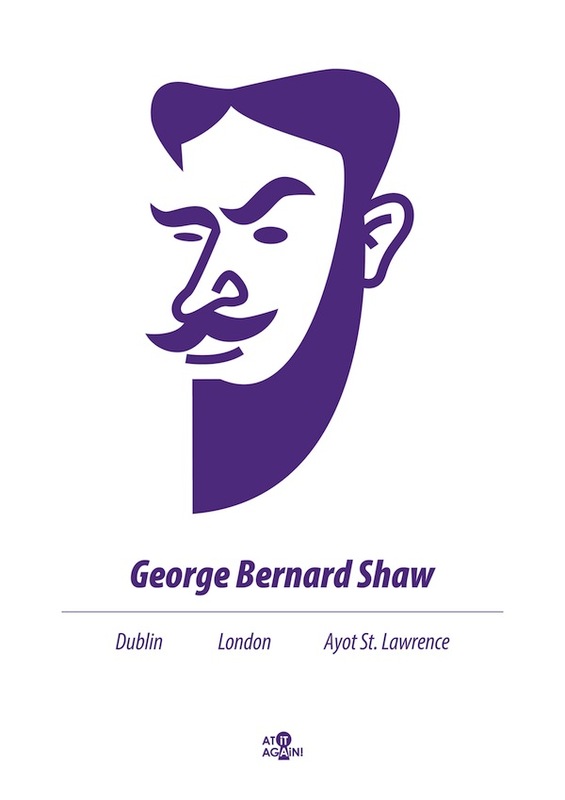 Born into a Dublin middle-class family, George Bernard Shaw up and left for London as a young man establishing himself as a music and theatre critic while becoming a leading socialist figure in the Fabian society. 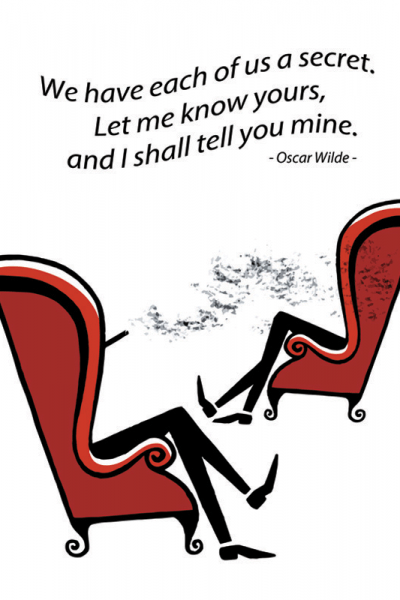 After little success as a novelist, he decided to become a playwright instead but his career didn’t take off until his forties. His writings brought political theatre to England using his wit to denounce political and social issues in the tradition of Jonathan Swift. His long career culminated in the successes of Pygmalion, which won him an Oscar, and Saint Joan, which won him the Nobel Prize in 1925. Shaw became one of the first global celebrities and was feted from the Soviet Union to Hollywood. A vegetarian and teetotaller all his life, he lived to over 90 years of age. His ashes are scattered over the grounds of his house, Shaw’s Corner, in Ayot St. Lawrence in Hertfordshire alongside the ashes of his wife, Charlotte Payne-Townsend.